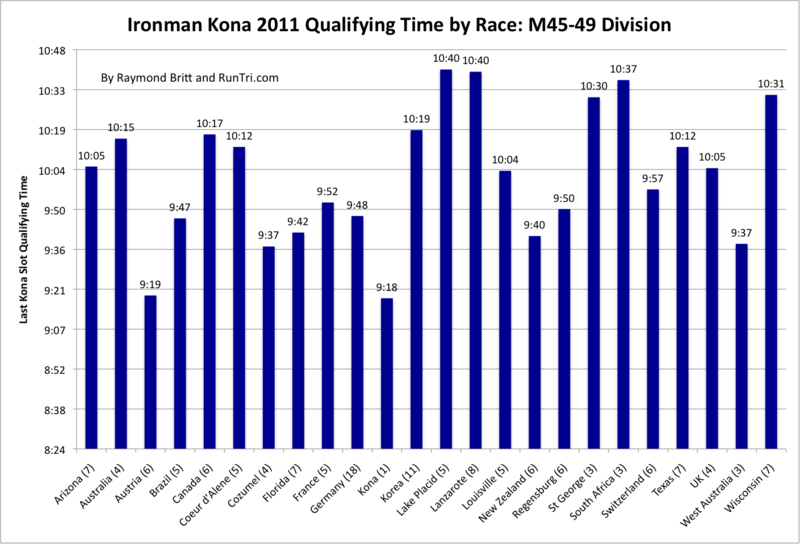 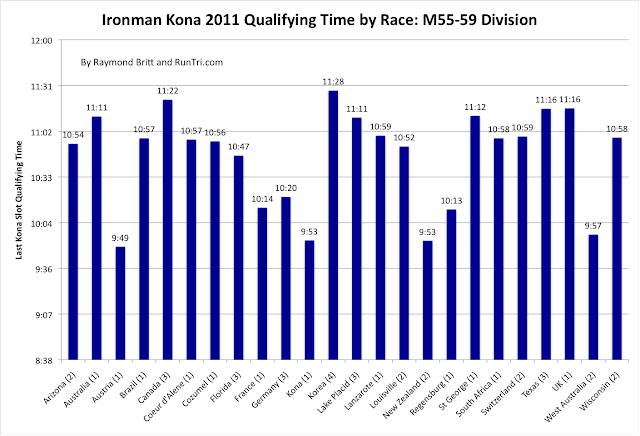 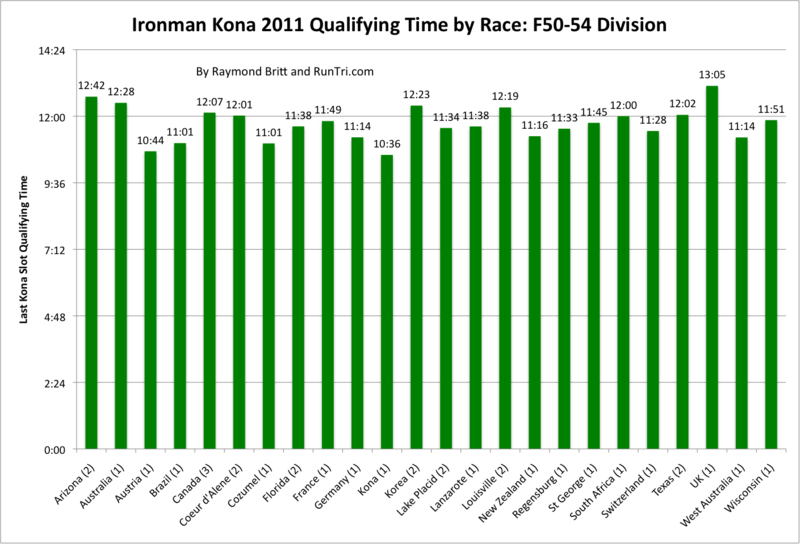 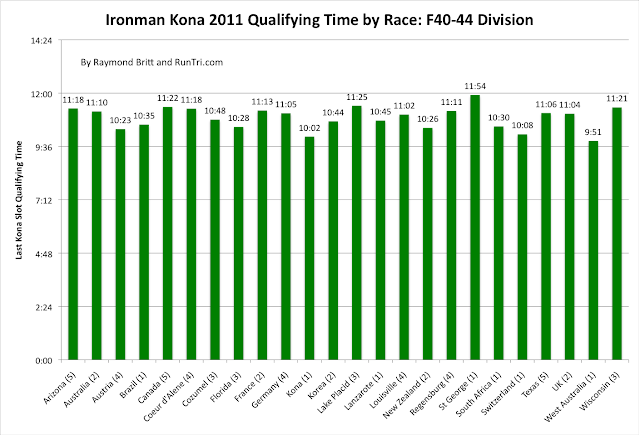 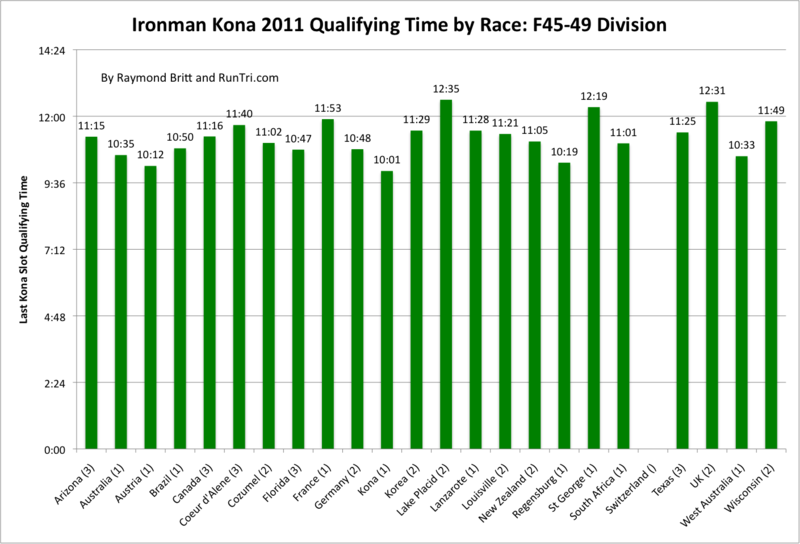 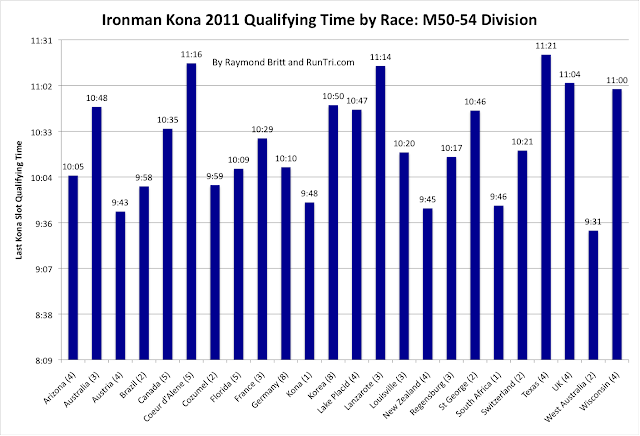 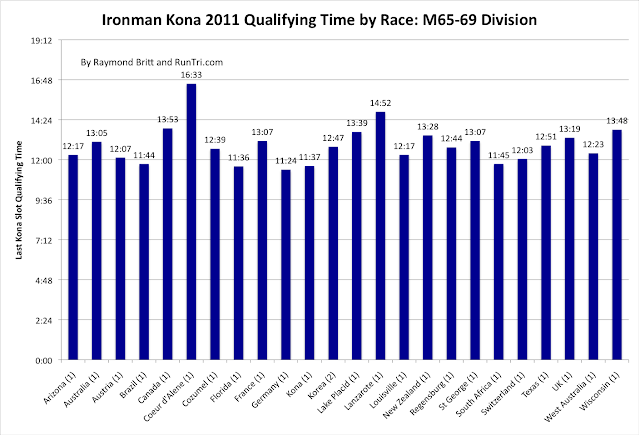 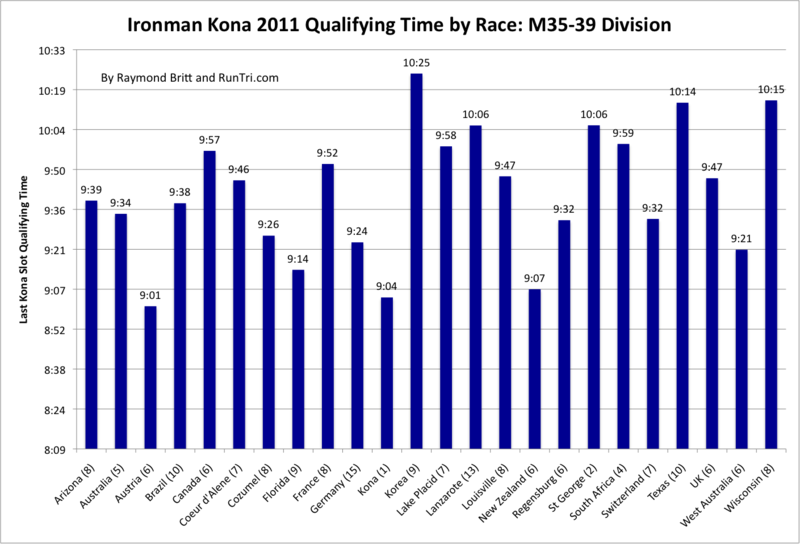 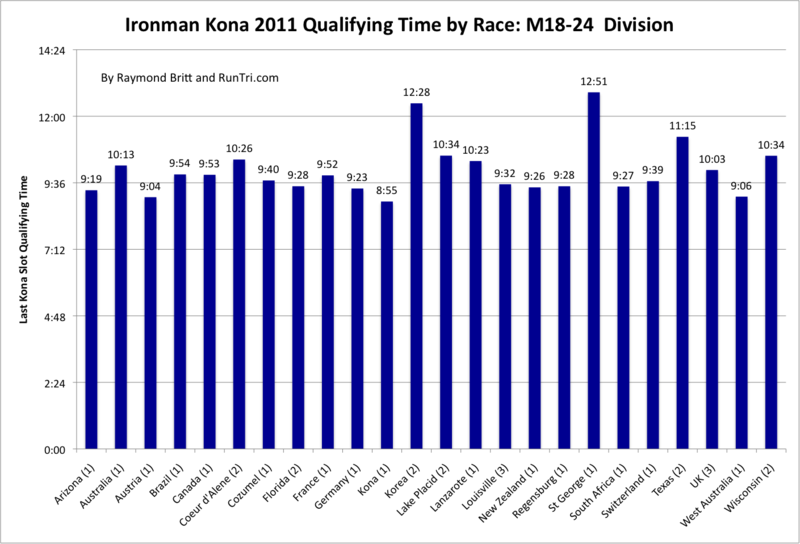 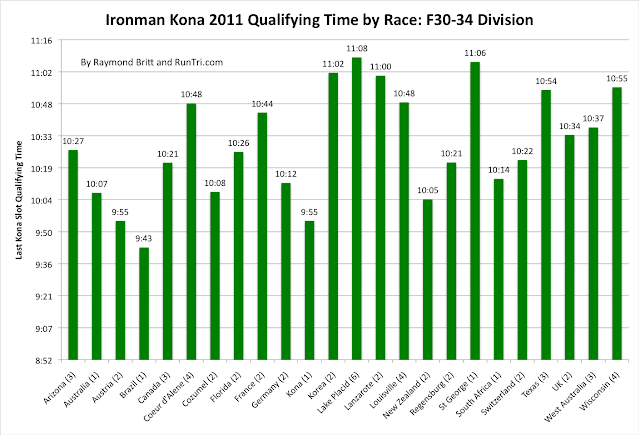 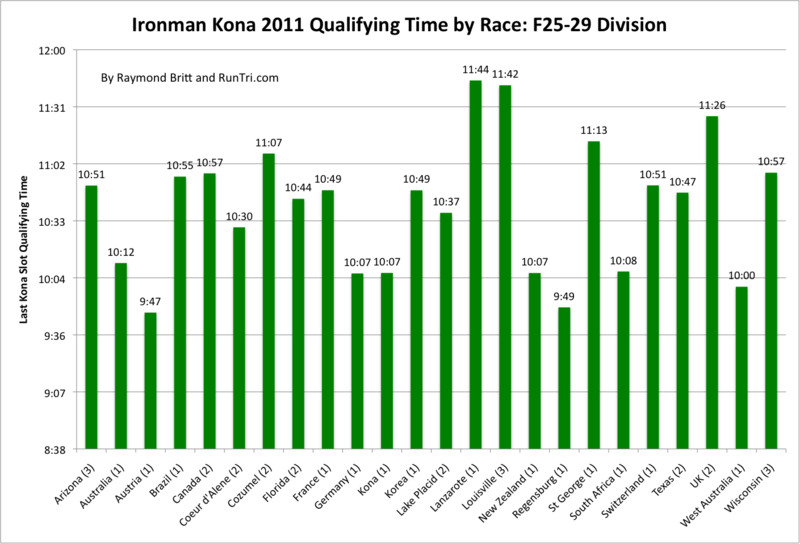 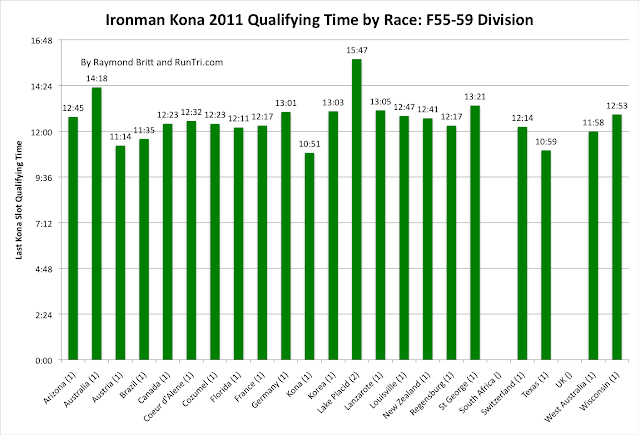 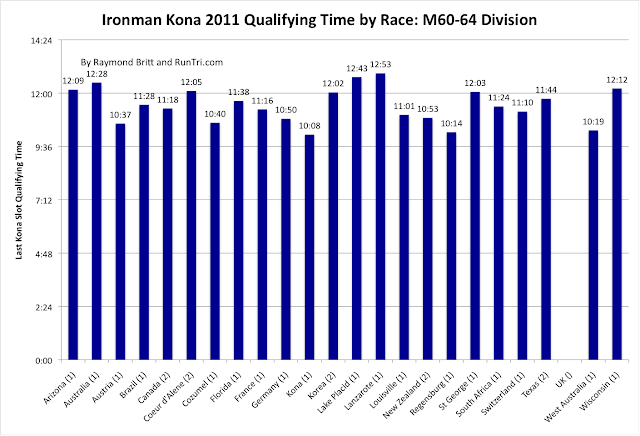 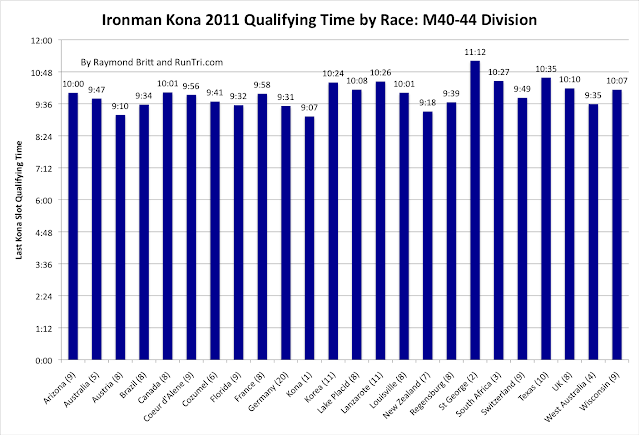 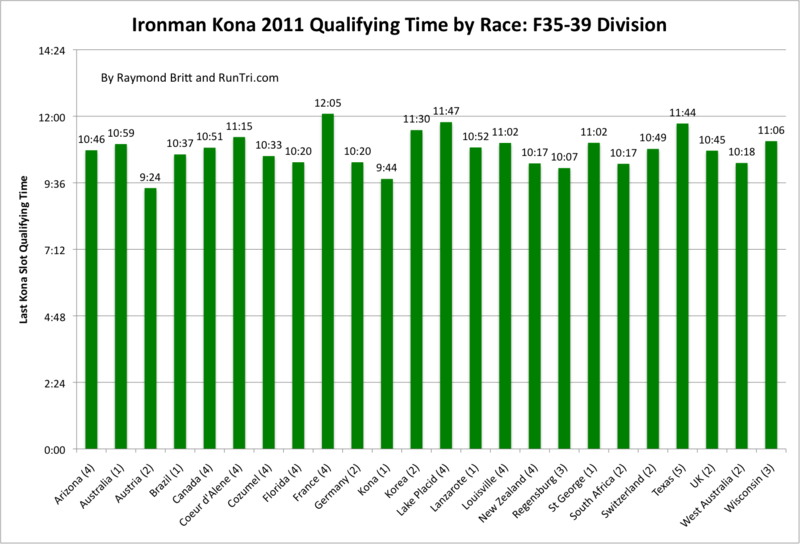 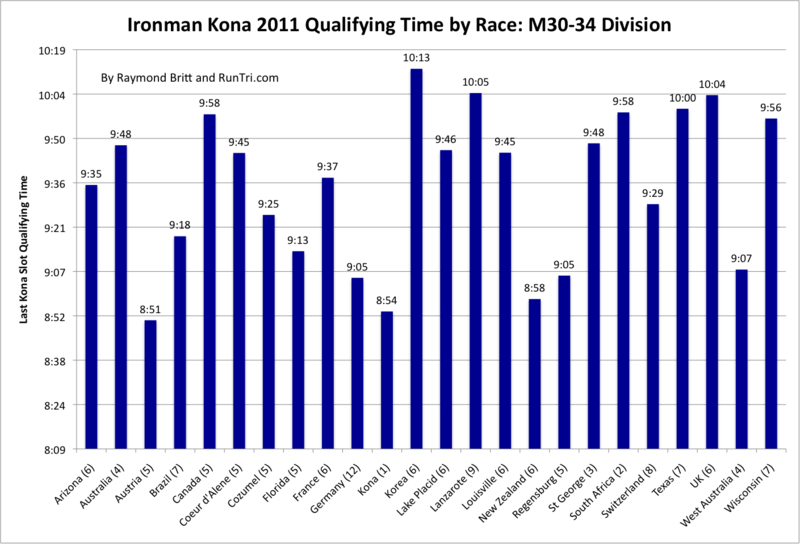 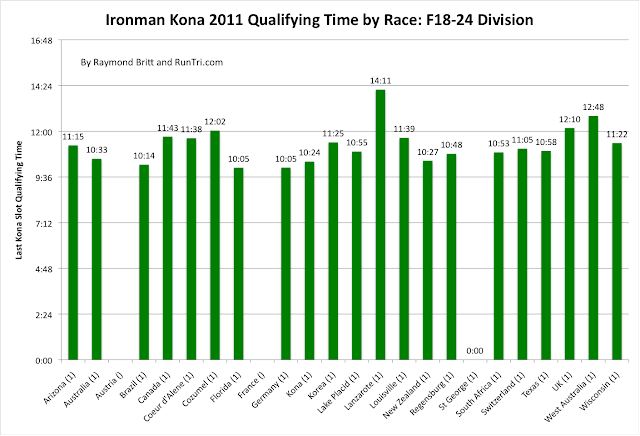 We've taken our Kona Qualifying Times to the next level: Qualifying time and slots per race (included in parentheses) by Age Group. For more, see our comprehensive Qualify for Kona, Ironman Kona Qualifying Times and Slots, calendar of Kona Qualifying Races and analysis as well as our complete Ironman Kona coverage. Extra credit: For even more, see our Stats/Analysis page, with more than 200 triathlon charts and statistics.